Sundridge Sunflower Festival the largest summer festival in the Almaguin area and only getting bigger every year. In order to expand and attract a larger audience we need sponsors. 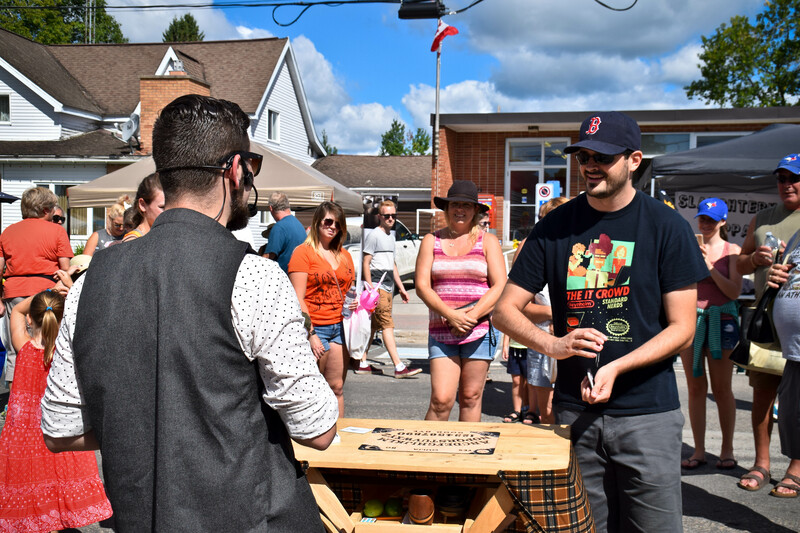 Your company’s involvement plays a key role in the success of the Sundridge Sunflower Festival. We recognize the unique contribution of each sponsor and packages can be customized to be most meaningful to your company. increase the scope and variety of activities and experiences. and hopefully attract larger crowds to the Festival. Businesses like yours form a key part of the success and growth of the Sunflower Festival, helping the Festival reach the next level. As the Sunflower Festival adds to its audience base and enhances their experiences, new and renewed strategic partnerships with sponsors play an indispensable role. In turn, when companies sponsor the Sunflower Festival, they reap the benefits of associating themselves with a largest summer event in the area while developing a meaningful relationship with the community. To become a sponsor please send us an email at russell@sundridge.ca or message us on Facebook. Payments can be made at the Village of Sundridge office, or through PayPal.